Austerity has undermined many of the local institutions that bind our communities together. 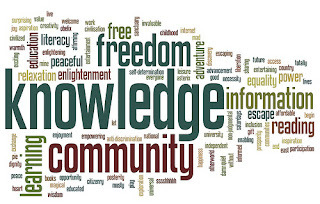 Cuts to our libraries, community learning, youth work, day centres and grants to voluntary organisations have all contributed to a sense of isolation. While action on individual social isolation is essential, we also need to think about the role of social infrastructure. This relates to the physical conditions that determine whether personal relationships can flourish. When social infrastructure is robust, it fosters contact, mutual support, and collaboration among friends and neighbours. When degraded, it inhibits social activity, leaving families and individuals to fend for themselves. 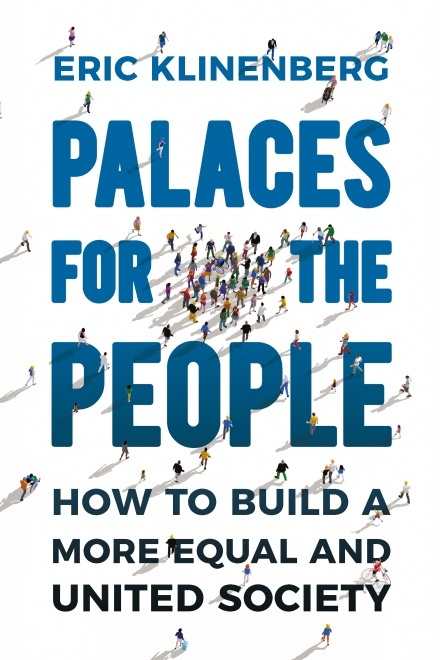 I was brought back to this concept by reading Eric Klinenberg’s book ‘Palaces for the People: How to Build a More Equal and United Society’. He looked at two districts in Chicago after the 1995 heatwave. They had similar socio-economic characteristics, but one district had a much higher death rate. The difference wasn't cultural or about how much people cared about each other – it was that poor social infrastructure discouraged interaction and impeded mutual support. Libraries are the best example of Klinenberg’s ‘Palaces for the People’. They are accessible and organised by professional staff that uphold a principled commitment to openness and inclusivity. A café might be, but it depends on the degree of openness, cost etc. Similarly, an early years centre where parents meet up at the same time is social infrastructure, but not a childcare centre in a commercial area where parents pop in and out to match their working hours. Some might argue that this is less important in the internet age. Klinenberg argues that communication technologies work best when they direct us to physical spaces that everyone can access. Ironically, the sort of areas that the tech giants create in their own workplaces. 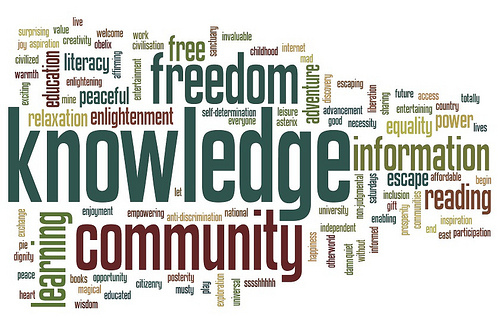 The excesses of internet culture and the ‘echo chamber' patterns of use, add to the problem. 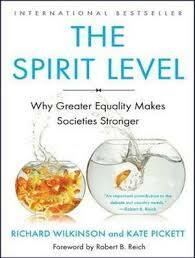 It feeds what social scientists call ‘bonding social capital’, but starves us of the ‘bridging social capital’ we need to live together. Mark Zuckerberg’s vision of Facebook as social infrastructure is flimsy because it cannot give us what we get from churches, unions, sports clubs and the welfare state. The primary aim is to keep us glued to the screens. Safe, green spaces are another essential part of social infrastructure. This includes parks and gardens, but also in the design of housing developments. Studies show that the greener the immediate surroundings of a building, the lower the rate of crime. Although this only works when they are well maintained and so used by residents, creating passive surveillance and feelings of greater ownership and control. Social infrastructure is also essential for health – the more physical environmental deprivation, the worse the community’s health. For example, with the opioid crisis in the US and rising levels of poor mental health in the UK, we overlook the importance of social cohesion and social support. A 2017 Harvard study, by Michael Zoorob, shows that communities with strong social capital were more likely to be insulated from the opioid crisis. Other studies point to the value of community gardens or allotments to us. Chicago has spent $2.5m on its inspirational 21,000 square-foot City Hall roof garden. In Singapore, the open spaces associated with housing projects are used for exercise, meetings, affordable dining and markets. Public sports and leisure facilities have been squeezed due to austerity cuts. In Iceland, they have free swimming pools or ‘hot pots’ that are used by people from all walks of life – one per 2,750 residents. Mind you, the rule that everyone must strip naked and wash off in a public area before entering the tubs, might be a reform too far for Scotland! Organised sports can build similar social interaction. In the UK, 80% of people who play organised sport have friends in the organisation, a much higher rate than for other organisations. Along with people who regularly attend church, they are more likely to volunteer in other civic projects. 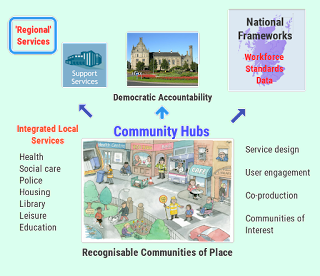 In Scotland, we have a historical manifestation of social infrastructure in our local Common Good funds. A 2014 Scottish Government report identified more than £300m in these funds covering moveable and heritable property. These were often donated by landowners when they sold development land for towns. Several modern day tech entrepreneurs invest some of their gains into good projects, as did old ‘robber barons' like Andrew Carnegie. 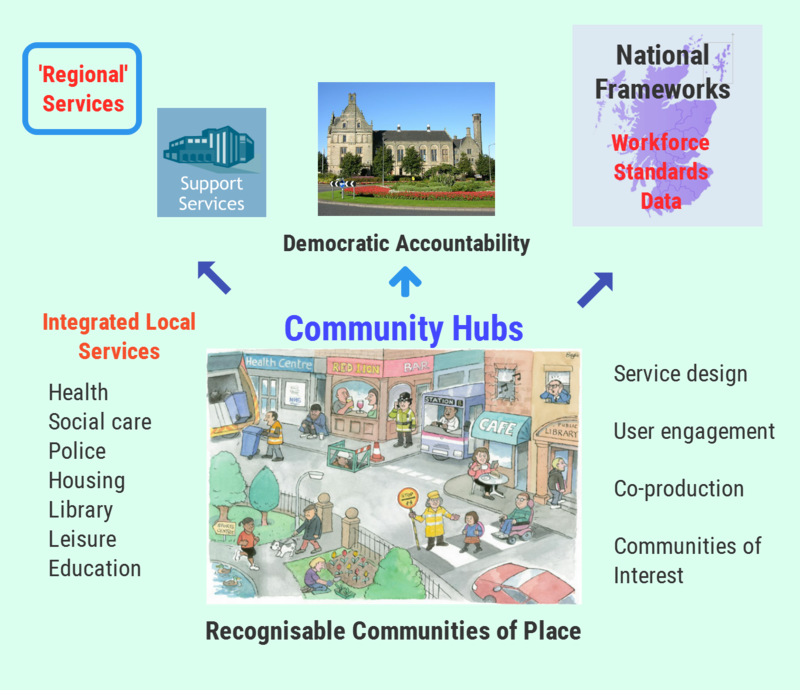 However, none of this is at the scale necessary to create the social infrastructure we need. Another feature of our crumbling social infrastructure is the decline of the high street in most of our towns. If you listen to some voices, all that is required is a cut in business rates. What we actually need is to rebuild them as social infrastructure. Doncaster is one town that is fighting back, with the opening of a new cultural and learning centre, and retail shops that offer something different. Others talk about replacing the acquisition of goods and services on the high street with local experiences. Community Hubs that bring together public services are another idea that could contribute to the revitalisation of our high streets. I discuss this in more detail in my Jimmy Reid Foundation paper on public service reform. Since the 1980s, anti-tax ideology has whittled down the public funds we need to build and maintain critical infrastructures - austerity has been the last straw. As we replace crumbling physical infrastructure, we should also consider how it might contribute towards strengthening our social infrastructure. A modern version of the Common Good.